Baby WASH – the missing piece of the puzzle? The January 2016 Huffington Post article entitled Why are Indian kids smaller than Africa kids: hint its not race authored by Sanjay Wikesekera, UNICEF Global WASH Chief and Werner Shultink, UNICEF Global Nutrition Chief, highlighted the link between child stunting and lack of access to toilets. Children growing up in an environment where people are defecating in the open will result in kids crawling around on dirty floors, putting feacally contaminated material and objects in their mouths and ultimately will results in children having high rates of diarrhea which will result in their stunted physical and mental development. 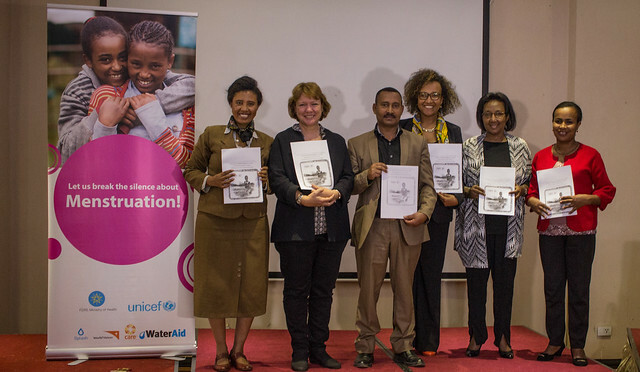 To understand this better, UNICEF Ethiopia WASH team and John Hopkins University undertook a systematic review of more than 1000 peer reviewed academic articles with the aim of identifying interventions that health and WASH professionals can take or promote to reduce the contact of children with feacally contaminated material. The review identified strong evidence on the linkage between open defecation, stunting and early child development (See figure below from Ngure et al (2014). The review also notes good knowledge of how to do hygiene and sanitation promotion to safe disposal of adult feaces but limited evidence on safe disposal of baby feaces. UNICEF Ethiopia is using the review to design specific Baby WASH interventions that can complement our current Infant Young Child Feeding programmes. 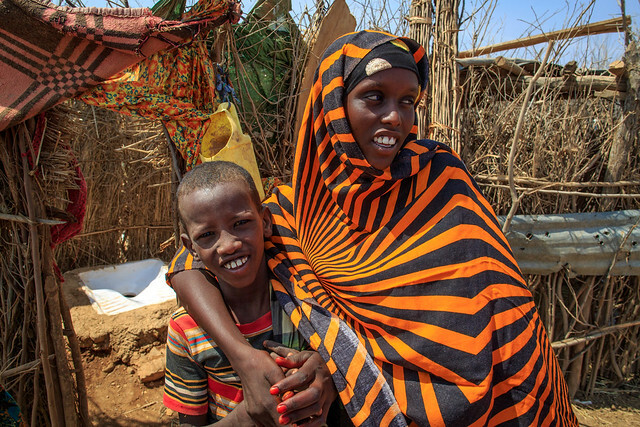 Ethiopia has substantially reduced Open Defecation during the last 25 years. In 1990, an estimated 9 out of 10 people were “pooing” in the open and by 2015, this had reduced by 64 per cent to less than 1 in 3 people. However, despite this progress, almost half of children were recorded as ‘stunted’ or not achieving their full physical and mental growth by 2015. The literature suggests that Baby WASH, as we have termed it, may be one of the key “missing pieces” in reducing stunting. Baby WASH comprises of a ‘menu’ of physical and promotions activities which will reduce the exposure of the BABY to ingestion of feaces and ultimately reduce stunting and improve Early Childhood Development. Watch this space for more details on field evidence on Baby WASH from UNICEF Ethiopia as we work closely with the Government of Ethiopia and development partners to expand this intervention throughout Ethiopia in our new Country Programme of Cooperation between 2016 and 2020. 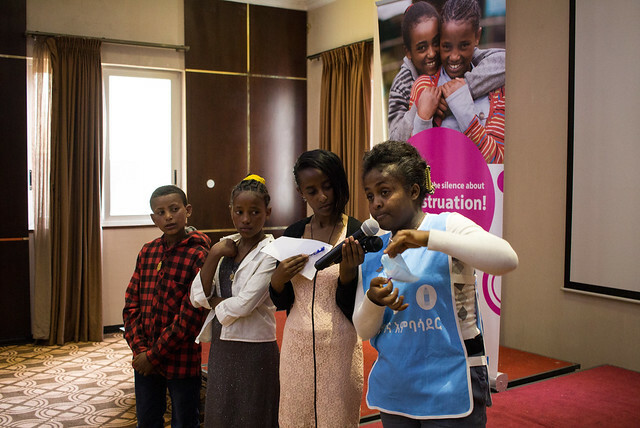 For the time being, UNICEF Ethiopia is using its own financial core resources. Interested development partners are welcome to join this groundbreaking initiative. UNICEF Ethiopia is collaborating with the US based Johns Hopkins Bloomberg School of Public Health, Department of International Health, Program in Global Disease Epidemiology and Control. A researcher from the school was an intern in the UNICEF Ethiopia WASH section in 2015 and has collaborated with the WASH section on producing a paper entitled Evidence on Interventions Targeted at Reducing Unsafe Disposal of Child Feaces: A Systematic Review. 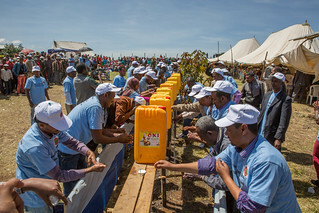 UNICEF Ethiopia’s rural wash activities are supported by the UK Department for International Development (DFID), the Government of Netherlands, the Government of Canada and the UNICEF National Committees from Germany, UK and New Zealand. Dr. Samuel Godfrey is Chief of WASH for UNICEF Ethiopia, and has a PhD and MSc in Civil Engineering and Water and Waste Engineering. Stunting is a sign of ‘shortness’ and develops over a long period of time. In children and adults, it is measured through the height-for-age nutritional index. 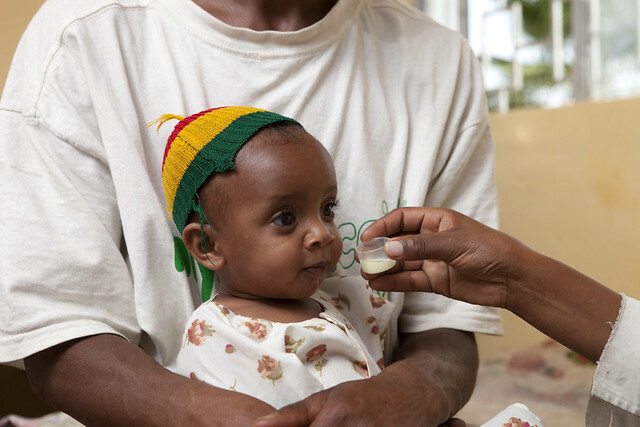 In Ethiopia approximately 40 per cent of children are stunted. Author UNICEF EthiopiaPosted on May 24, 2016 May 24, 2016 Categories Baby WASH, DFATD, DFID, WASHTags Baby WASH, children, hygiene, sanitation, unicef, water1 Comment on Baby WASH – the missing piece of the puzzle? The progress on sanitation is mainly achieved through the national Health Extension Programme (HEP) and the community led total sanitation and hygiene (CLTSH) approach. CLTSH is an approach that helps to mainly rural communities to understand undesirable effects of poor sanitation, and through a process of “triggering” – igniting a change in behaviour – achieve sustained behaviour change leading to spontaneous and long term abandonment of Open Defecation (OD) practices. 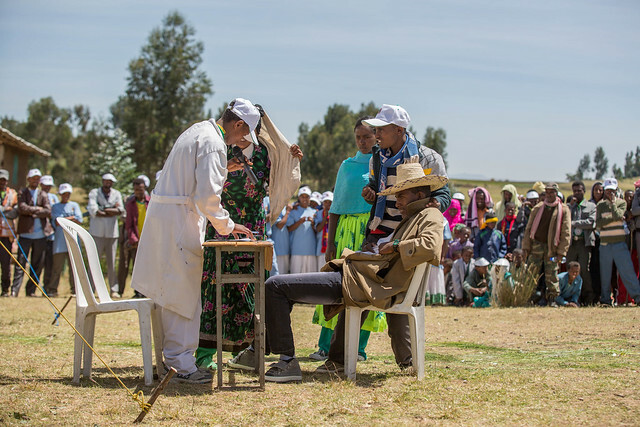 Since its introduction in 2006/7, CLTSH has remained the only instrument in Ethiopia to induce behaviour change of communities to consider construction of latrines and use them – discouraging the practice of open defecation. Although the achievements in the past decade are significant, the success of the approach varied significantly from place to place. For example, the Oromia regional state, the largest in the country, consists 265 rural and 39 urban districts or woredas. Out of 6,531 kebeles (sub-districts each with an average population of 5,000) in rural areas, about 16 per cent are open-defecation free (ODF) – meaning no-one, including visitors and passing pedestrians, are openly defecating and all have access to basic latrines with handwashing facilities. 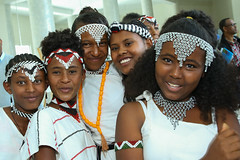 UNICEF supports 24 woredas in Oromia state between 2011 and 2015. Of the supported woredas, 24 per cent (116 of 477 kebeles) have achieved ODF status. Compared to regional average of 16 per cent, this is a huge achievement. Sire, one of the supported woredas, has recently been graduated in 2015 with 100 per cent performance, declaring all 18 rural kebeles ODF. 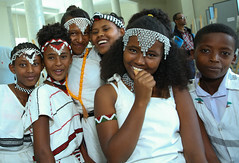 Other woredas are at various stages. 11 woredas are between 20-50 per cent progresses, while the rest 12 woredas are of 0-10 per cent progress. Compared to these, Sire Woreda shows an outstanding performance. Such exceptional achievement requires successfully overcoming a number of challenges. A key challenge is lack of thorough understanding of the steps involved in CLTSH and their importance. Usually CLTSH is about training facilitators and triggering communities. However, many practitioners agree that this is the easiest part. Rendering adequate supervision after the triggering stage and providing support that is necessary to sustain the momentum is the difficult part. Other challenges include diffusion of information to neighbouring communities that make the approach ineffective, lack of trainers with actual field experience, high staff turnover, poor coordination among stakeholders, weak commitment of staff and trained people and application of CLTSH without adequate or proper organisation and preparation. Growing over all these challenges and as a result of four years of effort, Sire Woreda celebrated 100 per cent ODF achievement in April 2015, with all rural villages and kebeles free from open defecation. Even though, some of these kebeles were declared ODF two or more years ago, , they continued to sustain their status despite the usual trend of falling-back to OD practice noticed as time elapses. This demonstrates an effective post-triggering activity by the Woreda that effectively complimented the planning and triggering activity. How was this achieved? The Woreda administration leveraged existing structures to sensitize the leadership ladder down to village level on CLTSH and built it in to the regular reporting and evaluation process. This has helped to mobilize the largest possible support to the effort of Health Extension Workers (HEWs) and CLTSH facilitators, including teachers and students under the guidance and support of the Woreda Health Office. It has also avoided diversions of focus (including manpower, logistics, and resources) as CLTSH has become an official woreda priority. Two notable practices can be praised in the woreda for this success. (a) the technique of triggering one full kebele at a time in contrast to the usual practice of village by village, and (b) use of different post-triggering follow-up technique suited to context. The advantage of the first technique was twofold. It helped to avoid diffusion of information in to neighbouring communities. Since, focusing in one kebele at a time required more trained people, the coordinators called upon trained and experienced facilitators from adjacent woredas to support, which worked really well. On the other hand, the woreda experts consciously applied different post-triggering follow-up methods. In highland areas, they applied the ‘flag system’, where by communities themselves awarded white flags to households who have constructed basic latrines, and red flags to those who did not. In low land areas, students were organized to alert the community when they see any one defecating in the open, who will then ensure the person buries the excreta. Currently, the Woreda continues to strengthen the community platforms for monitoring progress and pro-actively works with local leaders to provide the necessary guidance and technical support to sustain the achievement. As a result of this, they are expecting at least two kebeles to achieve secondary ODF, which includes upgrading of basic latrines to improved latrines (with washable slab, vent pipe, hole-cover) with hand washing facility by the whole community. The commitment of leaders, and subsequent effective coordination in the Woreda has benefited the wider community to keep children, women and the society at large healthy. NEW YORK, 19 November 2015 – Lack of access to toilets is endangering millions of the world’s poorest children, UNICEF said today, pointing to emerging evidence of links between inadequate sanitation and malnutrition. Lack of sanitation, and particularly open defecation, contributes to the incidence of diarrhoea and to the spread of intestinal parasites, which in turn cause malnutrition. Diarrhoea accounts for 9 per cent of the deaths of children under 5 years old each year and is essentially a faecal-oral disease, where germs are ingested due to contact with infected faeces. Where rates of toilet use are low, rates of diarrhoea tend to be high. Some countries have made significant progress in addressing both access to sanitation and the nutritional status of their children. Many have successfully used UNICEF’s Community Led Total Sanitation approach, in which the affected populations themselves devise local solutions to the problem of open defecation. Pakistan met the 2015 Millennium Development Goal to halve the proportion of people who in 1990 did not have access to improved sanitation. Using CLTS, entire communities abandoned the practice of open defecation, leading to improved health and nutrition indicators among their children. Ethiopia mobilized community workers and achieved the largest decrease globally in the proportion of the population who defecate in the open. Despite population growth, the practice reduced from 92 per cent (44 million people) in 1990 to 29 per cent (28 million people) in 2015. In Mali the CLTS approach was also used in communities with high malnutrition rates, exacerbated by drought in the Sahel region. Improved access and use of latrines ensued, and improved health and nutrition in children. During the emergency linked to conflict in the Democratic Republic of the Congo, integrated nutrition and WASH interventions were used for displaced communities. Children under 5 years old saw significantly reduced undernutrition and waterborne diseases. Around 60 per cent of the population constructed latrines and some 90 per cent of malnourished children returned to normal weight during a 12-month period. Hundreds of people marked Global Hand Washing Day with a colourful celebration at Garachatu School in Kimbibit woreda, Oromia region. The region has been celebrating Global Hand Washing day since 2008, which was International Year of Sanitation. 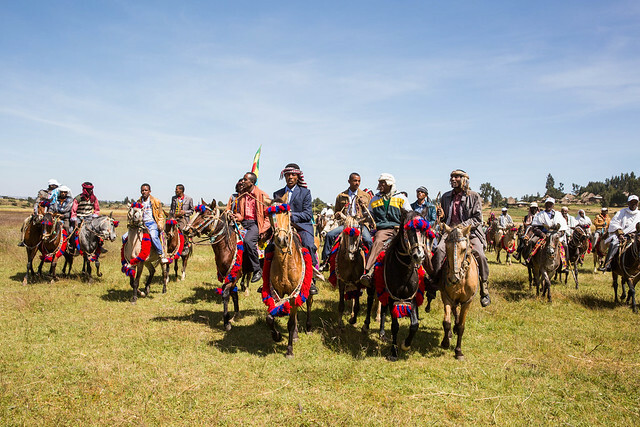 Community members travelled to the event on foot and on horseback, wearing colourful traditional clothes to welcome government officials and invited guests to the celebrations. The event is marked in many countries every year to underline the importance of handwashing in the prevention of common but potentially lethal diseases such as diarrohea, pneumonia, Severe Acute Respiratory Syndrome (SARS), Ebola and others. The event at Garatchu School included the reading of poems by students, songs and performances, focusing on the importance of handwashing. Oromia has made solid progress in improving hygiene, deploying 13,000 health extension workers and 4.5 million health development armies. These are small groups of women that meet regularly to discuss and solve issues relating to public health, socio-economic, environmental and economic concerns. Hand washing with soap removes germs from hands, preventing the transmission of infections when people touch their eyes, nose or mouth. It can also prevent germs getting into food and drink, as often happens when they are prepared by people with unclean hands. These germs can then multiply, risking the spread of infection to more people. Germs from unwashed hands can also be transferred to objects like handrails, table tops or toys and spread easily. Removing germs through proper hand washing helps prevent diarrhoea and respiratory infections and may also help prevent skin and eye infections. Research shows that community hand washing education has a number of hygiene benefits. It reduces cases of diarrhoea by 31 percent, diarrheic illness in people with weakened immune systems by 58 percent and respiratory illnesses, such as colds, in the general population by 21 percent. Figures released recently by UNICEF and the World Health Organisation show that in 2013 more than 340,000 children under five – almost 1,000 a day – died from diarrheic diseases due to lack of safe water, sanitation and basic hygiene. As the Ebola response takes its toll on the health services in the affected countries, the practice of hand washing is even more important to prevent these common diseases. UNICEF works with regional government and non-governmental organisations to improve access to safe drinking water, sanitation and healthy environments and better hygiene practices. It also focuses on capacity building to eliminate open defecation and improve hand-washing facilities in schools and health centres, focusing on the needs of girls. After the demonstration, all participants of the day practiced proper hand washing using soap as demonstrated by the health worker. 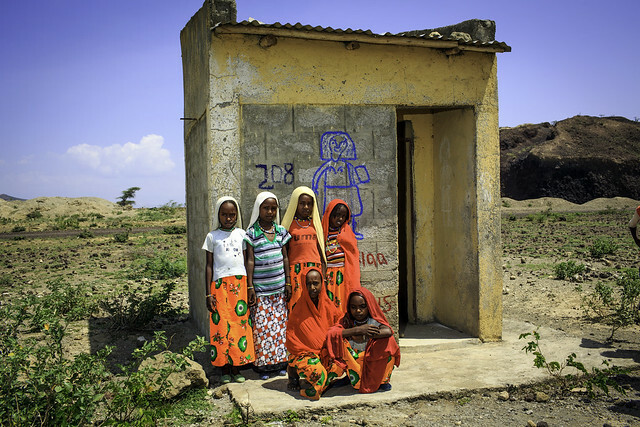 NEW YORK/Addis Ababa, 19 November 2014 – Slow progress on sanitation and the entrenched practice of open defecation among millions around the world continue to put children and their communities at risk, UNICEF warned on World Toilet Day. Some 2.5 billion people worldwide do not have adequate toilets and among them 1 billion defecate in the open – in fields, bushes, or bodies of water – putting them, and especially children, in danger of deadly faecal-oral diseases like diarrhoea. In 2013 more than 340,000 children under five died from diarrhoeal diseases due to a lack of safe water, sanitation and basic hygiene – an average of almost 1,000 deaths per day. The call to end the practice of open defecation is being made with growing insistence as the links with childhood stunting become clearer. India, with 597 million (half the population) practising open defecation, also has high levels of stunting. Last week, UNICEF convened a conference in New Delhi called ‘Stop Stunting’ to call attention to the effect of open defecation on the entire population, particularly children. UNICEF’s ‘Take Poo to the Loo’ campaign in India also works to raise awareness of the dangers associated with open defecation. Compared to other African countries, Ethiopia has made huge progress in reducing open defecation rates from 92 per cent in 1990 to 37 per cent in 2012. 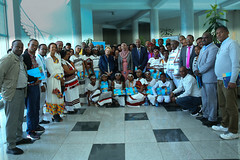 The Joint Monitoring Programme (JMP) 2014 report from UNICEF/WHO confirms that Ethiopia is leading the charge in Africa in reducing open defecation.The community total sanitation and hygiene approach, supported by UNICEF and utilizing the 38,000 Health Extension Workers in the country, has greatly contributed to this success. 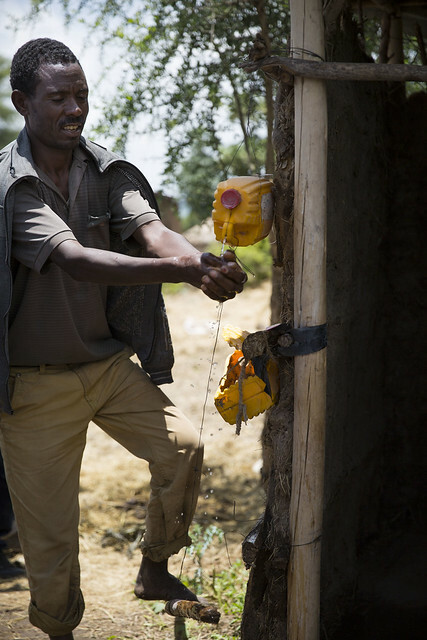 “The challenge of improving sanitation levels to ensure that the minimum standards of toilet construction remains in many rural areas across Ethiopia. With the rapid urbanisation of the country there is also a need to “reinvent the toilet” to make it affordable, durable and appropriate for high density urban dwellings. 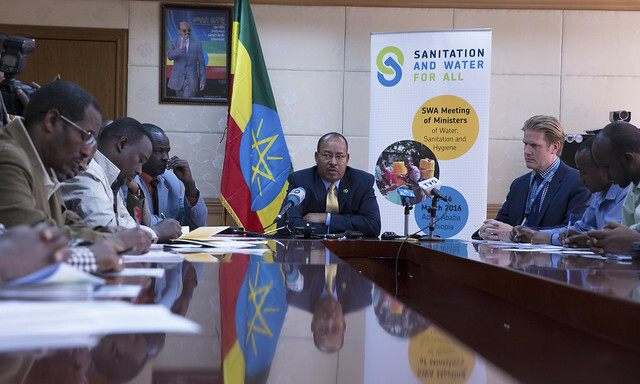 UNICEF is advocating for these, and greater focus on toilets in schools and health centres nationwide, to ensure greater access to improved sanitation,” said Patrizia DiGiovanni, Acting Representative of UNICEF Ethiopia. UNICEF’s Community Approaches to Total Sanitation addresses the problem at the local level by involving communities in devising solutions, and has led to some 26 million people across more than 50 countries abandoning the practice of open defecation since 2008. Eighty-two per cent of the 1 billion people practising open defecation live in just 10 countries: India, Indonesia, Pakistan, Nigeria, Ethiopia, Sudan, Niger, Nepal, China, and Mozambique. The numbers of people practising open defecation are still rising in 26 countries in sub-Saharan Africa, though they have declined in Asia, Latin America and the Caribbean. In Nigeria, numbers of open defecators increased from 23 million in 1990 to 39 million in 2012. Globally, some 1.9 billion people have gained access to improved sanitation since 1990. However, progress has not kept up with population growth and the Millennium Development Goal target on sanitation is unlikely to be reached by 2015 at current rates of progress. The inter-governmental Open Working Group on the post-2015 Sustainable Development Goals have recommended that the new goals include a target of achieving adequate and equitable sanitation and hygiene for all and ending open defecation by 2030.